Do you like to use Tag Clouds when you search on the Internet or perhaps you want to add a little variety to your searches? 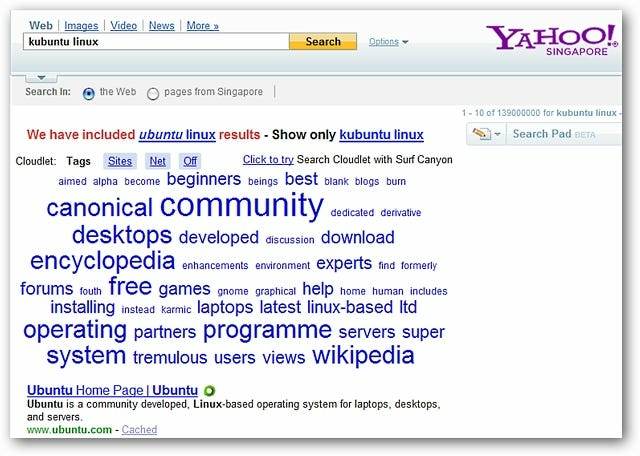 Now you can get that nice Tag Cloud search boost in Firefox with Search Cloudlet. 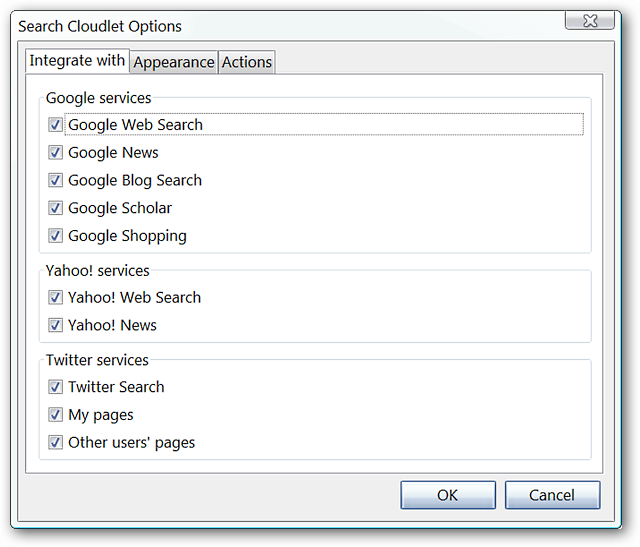 Once you have installed Search Cloudlet, having a quick look through the options is a good idea. This will let you become familiar with the services that Search Cloudlet works with. In the first tab area you can specify the services that you would like to integrate Search Cloudlet with (very nice!). 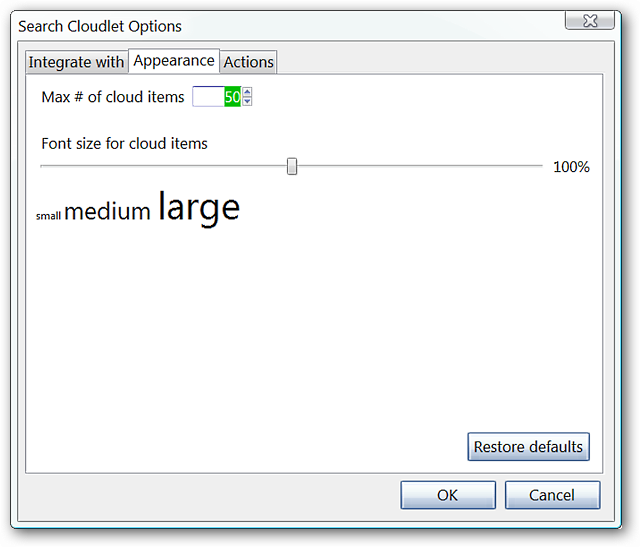 In the second tab, you can modify number of cloud items displayed and the font size to best suit your personal needs. This can be especially helpful if you need or want to conserve some screen real-estate! 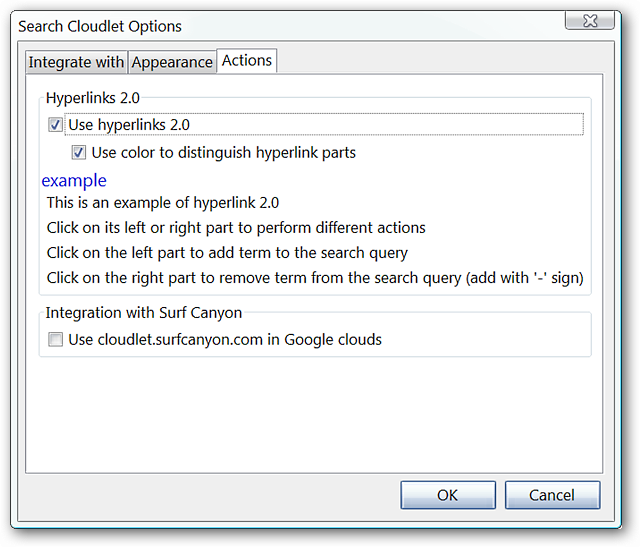 In the last tab there are options concerning hyperlink style and the integration of Surf Canyon for Google based searches (if desired). Notice that instructions are provided for adding or removing terms to search queries. Click on the left side of the link to add the term or click on the right side of the link to remove that term. 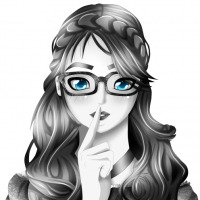 So, how does Search Cloudlet look when conducting a search? 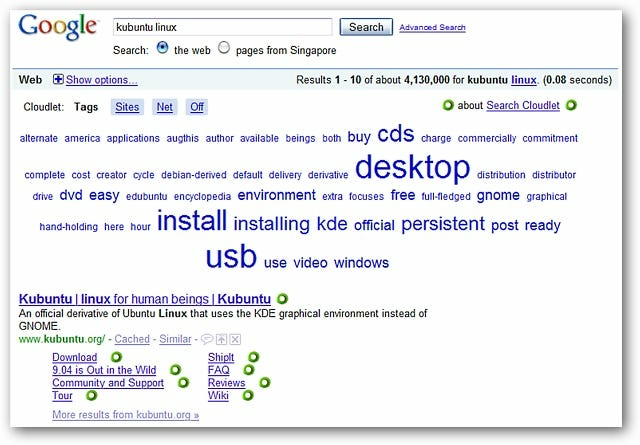 Here you can see the Tag Cloud for the term “Kubuntu Linux” when we searched using Google. 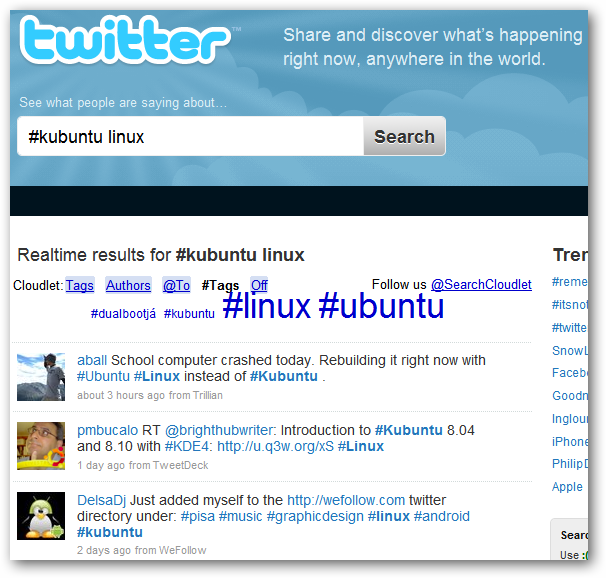 Finally, we see the result when we searched for “Kubuntu Linux” on Twitter. Notice that we focused exclusively on the “#Tags” category only to really refine the search here and cut out less-relevant results. Whether you love using Tag Clouds for all of your searches or are just looking to try something new, Search Cloudlet is definitely a fun and useful extension for your Firefox browser!